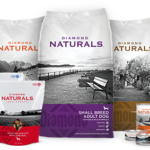 Diamond Naturals Dog Food is among the best brands on the market, as well as one of the best values. With two lines to choose from (Diamond Natural or Diamond Natural Grain-Free), finding the right food for each individual dog is simple. Containing no common allergens such as soy, corn, and wheat, Diamond Natural is manufactured with premium proteins, carbohydrates, fats, super foods, and probiotics. 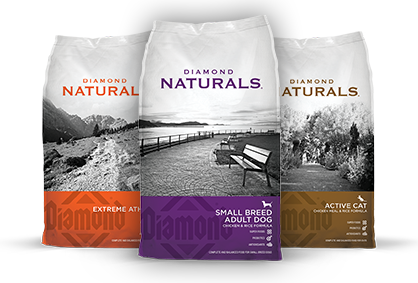 For dogs with extremely sensitive stomachs, Diamond Natural Grain-Free eliminates all grains from a dog’s diet, but maintains the same excellence that Diamond Natural consumers expect. 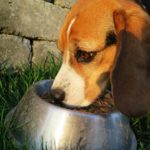 A dry dog food should be mainly comprised of protein, followed by carbohydrates and fats, and finally trace vitamins and minerals. While many other brands are comprised of animal by-products, the first ingredient listed on a Diamond Naturals bag is always a top-tier protein. Carbohydrate sources include brown rice, sweet potato, peas, and garbanzo beans. When compared to a similarly priced brand, the difference is immediately obvious, where ingredients such as corn gluten meal, whole grain sorghum, brewer’s rice, and chicken liver flavor are mainly used. Diamond Naturals also contains a number of ingredients deemed “super foods” that provide important vitamins and minerals to a dog with increased bioavailability, such as kale, papaya, pumpkin, chia seeds, blueberries, and quinoa. Other brands provide these nutrients in a less natural way, and include components such as “Vitamin A supplement,” manganous oxide, and Calcium Pantothenate on the ingredient list, rather than a whole food option. For digestive support and overall health, Diamond Naturals adds probiotics such as Lactobaciullus acidophilus, Bifidobacterium lactis, and Lactobacillus reuteri to the foods, which help maintain optimal gut flora. The value of Diamond Naturals is as high as the quality. For instance, a 40 lb bag of Diamond Naturals Beef and Rice can be bought online for as little as $32.65 (with free shipping with Prime). In comparison to a food of similar merit, consumers typically save $1 – $3 per pound when purchasing Diamond foods. The risk of recall is low, as there have only been three recalls in the history of the brand. In fact, DogFoodAdvisor.com ranked Diamond Natural dog food among the best on the market, giving the brand four stars. Overall, choosing a dog food can be a difficult task because of the variability of products available. 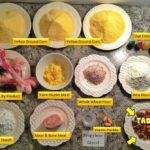 Not all foods and brands are created equally, and consumers should be vigilant about any ingredient that is fed to their dogs. For the budget-conscious consumer, Diamond Naturals is among the best!